A program designed to communicate important beach safety lessons for life to school aged children. We bring the beach to your school! 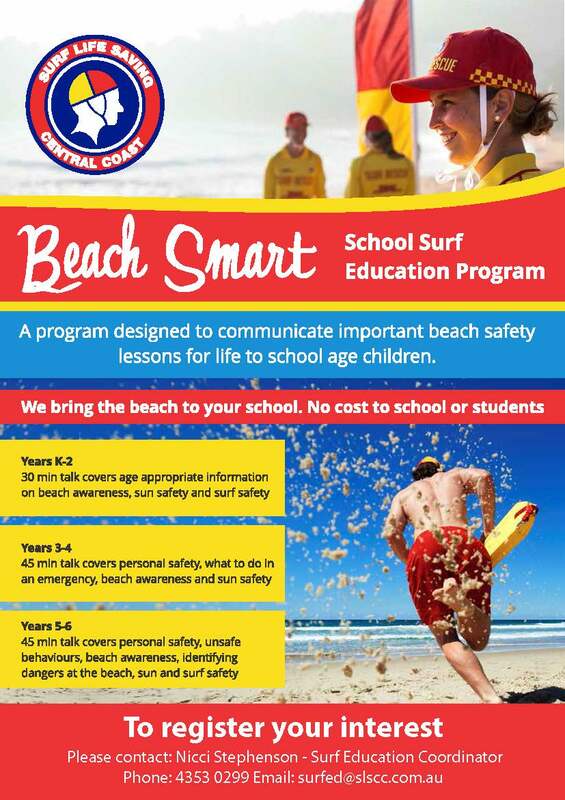 The program is delivered by Surf Life Saving Central Coasts qualified instructors, this fun and interactive learning experience allows students to gain awareness of beach safety in their very own classroom. Students will have fun whilst also developing lifesaving skills for the future. K-2. Our 30 min talk covers age appropriate information on beach awareness, sun and surf safety. SLSCC couldn’t be happier with the uptake from the local schools with the program reaching 19,924 students in 2016 alone and an even bigger up-take enrolled already for 2017.